Hexagon Metrology today announces the release of the new TESA TLC-TWIN transceiver, a small wireless module designed to provide customers improved performance and enhanced features to measure seamlessly. 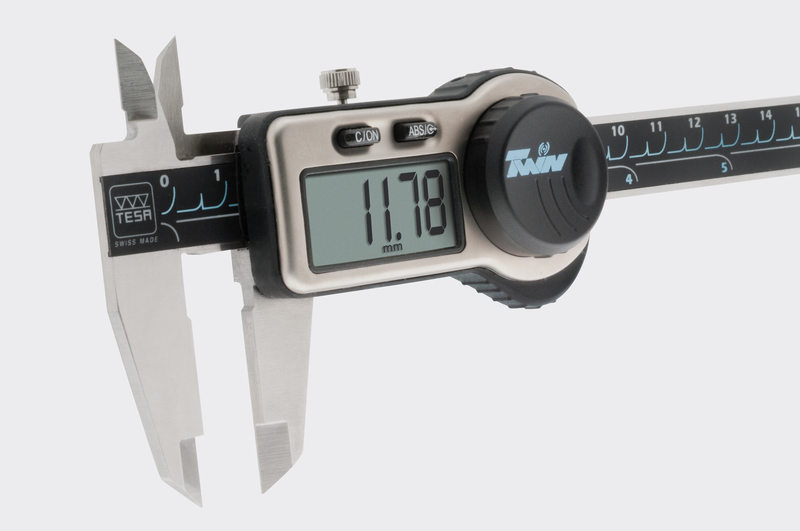 This accessory preserves IP67 protection of the measuring instrument and offers best compatibility and connectivity with the TWIN-CAL IP67 caliper. TLC-TWIN houses a 2.4 GHz radio module along with its own battery. Its compact dimensions, coupled with its function in place of the caliper’s battery cover, avoid using cumbersome module hanging from the instrument. TWIN Station receiver manages the wireless connection with the calipers and transmits incoming data to a computer via USB connection. TWIN Station receiver enables the operator to retrieve data for optimal SPC monitoring on the gaging computer. Up to 48 instruments equipped with TLC-TWIN can be managed by a single TWIN station, using the proprietary TESA TWIN communication protocol. Alternatively, there is the option to use a cabled version with TLC-USB or TLC-DIGIMATIC that enables TESA instruments to work with any USB or appropriate DIGIMATIC interfaces. One can imagine the numerous possibilities offered by such a system for tracking, optimization and maintenance of the hand instruments in a factory. TESA developed the new TLC-TWIN transceiver with features that the company is renowned for in the market; the new product is compact and distinguishes itself for its enduring low consumption coupled with a bi-directional robust communication that is fast and reliable. These attributes have become increasingly important and suitable for countless applications in the metrology laboratory or on the production floor, often in combination with mechanical instruments or stationary machines. The new TESA TLC-TWIN transceiver delivers the lowest total cost of ownership of any wireless accessory and truly provides maximum quality assurance experience to its customers without compromise.The new TESA TLC-TWIN transceiver will be featured at Hexagon Metrology’s upcoming shows and also at the CONTROL Show in Stuttgart, Germany from 14 – 17 May 2013.Visit booth 5302 in hall 5 to learn more. For more information about the TESA TLC-TWIN, visit www.tesabs.ch.